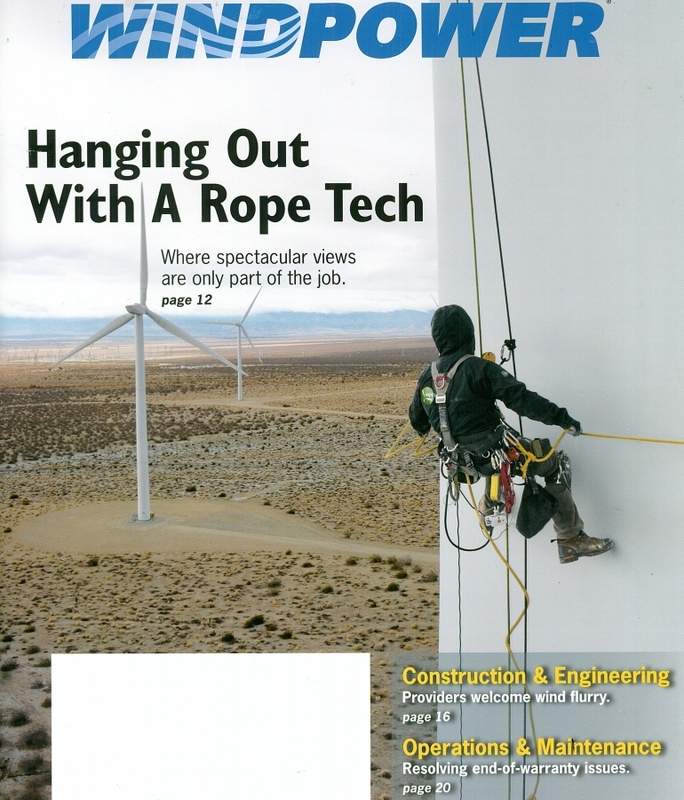 Rope Partner is delighted to announce that our technician, Corey Calligan was featured for the March 2016 cover story of North American Windpower magazine. I’ve watched whales breach in Hawaii and [the arrival of] early winter cold fronts in Minnesota. 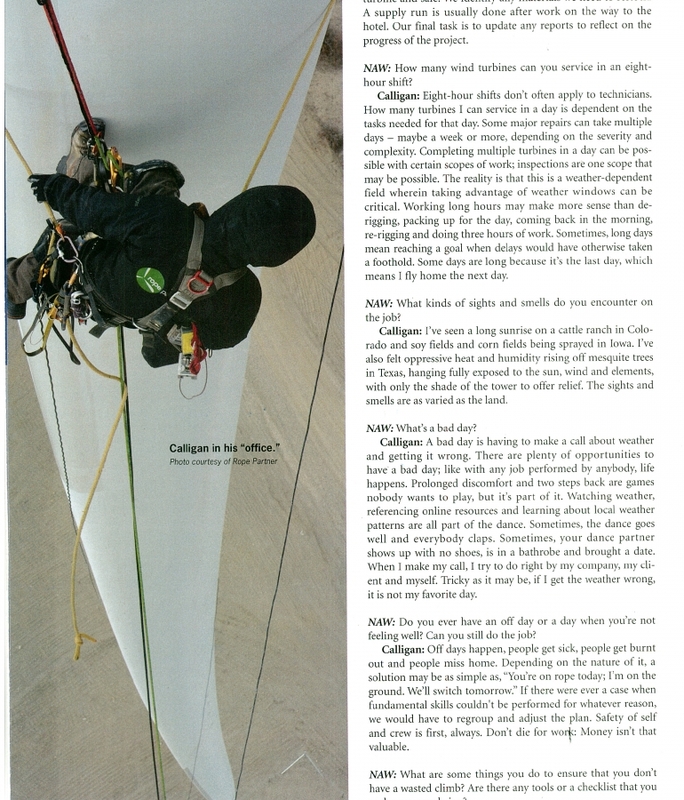 Read the full North American Wind Power article here.